The polar vortex of 2014 brought record low temperatures and 26.5 inches of snowfall in the first few days of January alone. This year, meteorologists project a much milder winter. Although this year has brought one of the mildest falls in recent memory, the first November snowfall broke a 120-year-old record. Several meteorologists cite a strong El Nino Southern Oscillation as the explanation for the temperate conditions thus far. ENSO, which is a rise in the sea level temperatures in the Pacific Ocean, caused this fall season to rank in the warmest 8 percent in 146 years of official record-keeping, according to WGN Chicago meteorologist Tom Skilling. Despite this season’s unusual warmth, Chicago’s first snow brought up to 17 inches to the northwest suburbs in a constant flurry beginning the night of Nov. 20 and lasting well into the following day. The snowfall was the second-largest November snow in recorded history, with the largest coming 120 years prior on Nov. 25-26, 1895, according to the Chicago Tribune. ENSO can also heighten rainfall, and this November was also one of the wettest in recorded history, according to the National Weather Service. This November ranked as the 15th wettest in records dating back to 1871. Projections from the weather service’s Climate Prediction Center show ENSO’s effect to hit its peak in the Northern Hemisphere during winter 2015-16. 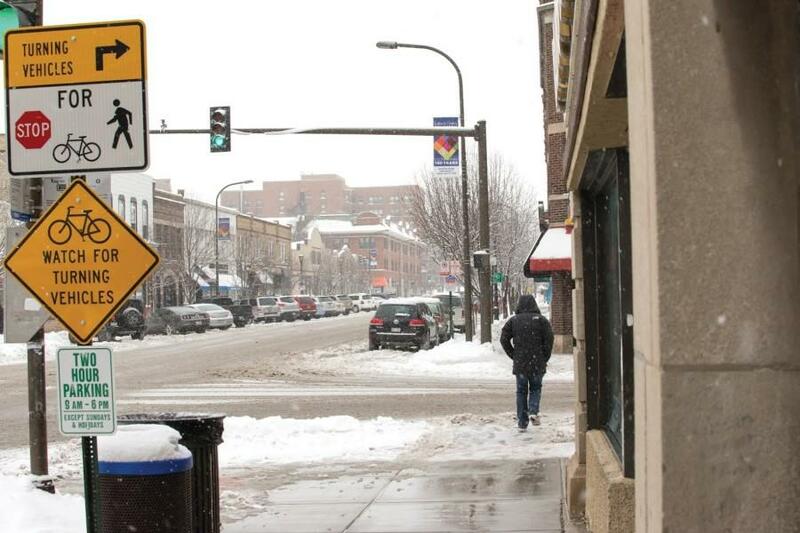 Traditionally, Chicago is known for its brutal winters — record-low temperatures and nearly two feet of snowfall caused Northwestern to delay the start of Winter Quarter 2014 for two days. Commonly referred to as the “polar vortex,” winter 2013-14 brought a total 26.5 inches of snow at the beginning of January alone, the area’s second-snowiest week ever, according to the weather service.